NorthBEAT Collaborative (2017-21) funded by Ontario Trillium Foundation Youth Opportunities Fund. Youth with psychosis in Northwestern Ontario do not get the help they need when they need it. We're going to change that. The NorthBEAT Collaborative —funded by the Ontario Trillium Foundation Youth Opportunities Fund and sponsored by the Centre for Applied Health Research at St. Joseph’s Care Group— is a strategic systems collaborative that will make it easier for youth with psychosis to get the services they need, when they need them. We will improve pathways to care and services, and build the capacity of multi-sector providers to connect, learn, and make improvements in the communities they support. 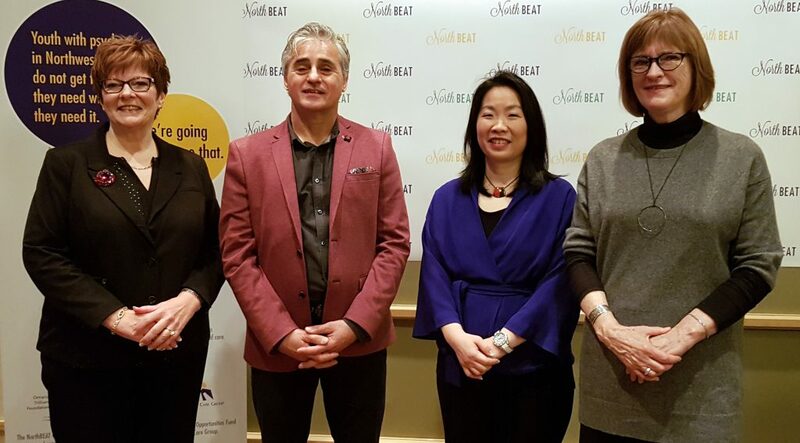 The NorthBEAT Collaborative is funded by the Ontario Trillium Foundation Youth Opportunities Fund, and sponsored by the Centre for Applied Health Research at St. Joseph’s Care Group. Are you a member of the NorthBEAT Collaborative? Is your organization a member of the NorthBEAT Collaborative? Want to make a difference? Join one of NorthBEAT's advisory groups! The NorthBEAT Collaborative is funded by the Ontario Trillium Foundation – Youth Opportunities Fund and sponsored by the Centre for Applied Health Research at St. Joseph’s Care Group. Copyright © 2019 NorthBEAT. Theme: Zakra By ThemeGrill.